The reader of Cafe Lâ&#x20AC;&#x2122;Amourâ&#x20AC;&#x2122;s Business Concept hereby acknowledges that the information provided is completely confidential and therefore the reader agrees not to disclose anything found in the business plan without the express written consent of Viviane Zabbal and Ramzi Razian, the owners of this concept. It is also acknowledged by the reader that the information to be furnished in this concept plan is in all aspects confidential in nature, other than information that is in the public domain through other means and that any disclosure or use of the same by the reader may cause serious harm and or damage to Cominar. Upon request any copies in any form of this document will be immediately returned to Ramzi Razian or Viviane Zabbal. This is a concept overview. It does not imply an offer of any securities. APPLICABLE LAW This contract shall be governed by the laws of the County of Canada in the Province of Quebec and any applicable Federal law. An intimate space. Contemporary and modern style. Memorable experience. Flavour and satisfying meals. 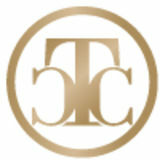 Luxury, sophisticated taste and class Open, yet private. Deliciously satisfying. L’Amour is a cozy and intimate cafe and lounge, yet expansive and mesmerizing. You can choose to celebrate your special occasion with us, whether it is an important meeting, birthday, anniversary, reunion with family and friends we promise a fantastic and memorable experience. L’Amour is a one of a kind all day Café and Lounge that promises casual with style, luxury which you can enjoy everyday and any day. L’Amour satisfies those who crave for a stylish café lounge, where you can escape the hustle and bustle of the city life and experience the ambiance of the café lounge, whilst the food will definitely keep you coming back for more, as lingering moments are made complete with memorable flavor and satisfying meals, along with outstanding customer service. The interior of the lounge is rustic which will grab the attention of the customers to the simplicity of the cafe lounge. From hot beverages such as Coffee to cold beverages and from the traditional pastries to the healthy food options, we ensure all our ingredients are carefully selected with attention to detail and offer diversity to our customers. 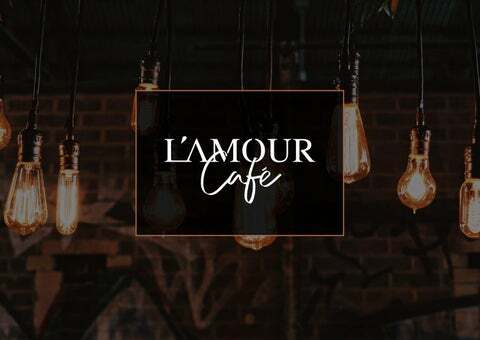 The right team and management have been carefully selected to ensure that L’Amour Café is managed and operated in an international acclaimed professional manner. Our team consists of a multicultural background, which is one of our main strengths. Viviane Zabbal who grew up in Montreal speaks fluent French and English as well as Arabic. Our staff are highly motivated and love their work. They genuinely love serving people and once you arrive at L’Amour you will feel welcomed and appreciated. Our focus will be on repeat customers, which are key features of a well-operated F&B unit. The strength of the management will be their own passion for healthy eating and delicious food. L’Amour will launch there branch efficiently and use tools like trainings and operational guidelines to stay ahead of competition. STYLISH. RELAXING. CELEBRATE. We wish to create a vibrant yet relaxing café and lounge environment which will not only serve the most amazing fusion coffee for the visitors to relax after their busy life schedules, but also to provide a unique blend of Arabic healthy, yet relishing cuisine, one of its kind. L’Amour will allow the visitors to relax amongst the hustle and bustle of the city life, whilst indulging all their senses. It is open yet private, comfortable and modern, and deliciously satisfying. A café and lounge which promises to deliver exclusivity and one of its kind customer service to the city of Montreal. BAKED GOODS HOMEMADE BREAD Find a wide variety of baked goods featuring whole grains and natural sweeteners. Many contain fresh fruit as well. Mozzarella, chicken, mushrooms, onions and feta. DESIGN CONCEPT LAMOUR CAFĂ&#x2030; is designed to create an amiable and inviting atmosphere that exudes a sense of elegance that reflects its brand persona. Through the balanced use of soft color palette with accents of color, a sense of simplicity is reflected through the interiors. Much like its personality, this space implements the fine use of creative elements coupled with romantic minimalism to the customer journey.